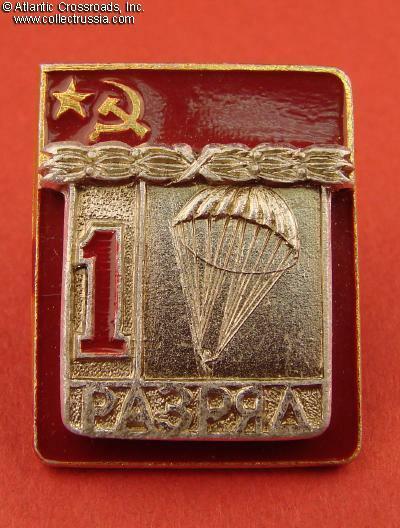 First Degree in Sport Parachuting, qualification badge, 1970s-80s. Aluminum, paint; 25.3 x 20.2 mm. Two-piece construction. 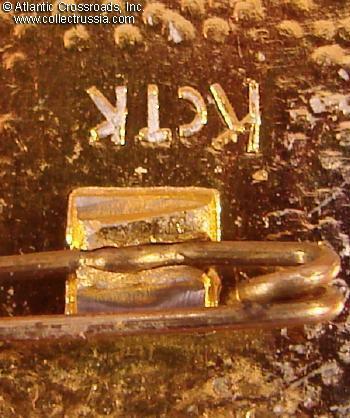 Cyrillic maker mark "Kstk" to the reverse. In excellent condition. 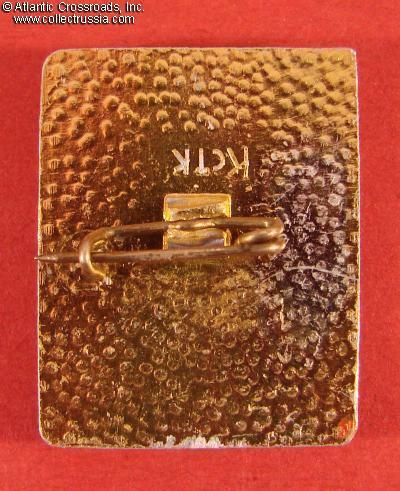 Awarded for reaching the highest of the 3 basic sport degrees prior to achieving the level of "Candidate Master". 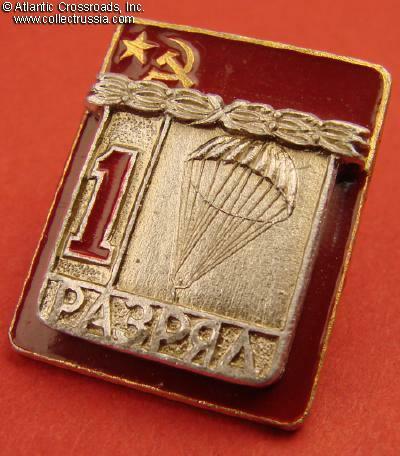 Although this is a sport qualification rather than a military badge, vast majority of its recipients were military paratroopers or paramilitary (DOSAAF) parachute instructors.